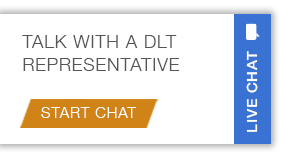 Joe Donohue joined DLT in December 2016 as Chief Financial Officer. Joe brings over 25 years of experience to the role of CFO. In the position, Donohue will oversee accounting, finance, and order management. Prior to joining DLT, Donohue was most recently the Chief Financial Officer and Chief Compliance Officer of Agilex Technologies where he led its successful sale to Accenture Federal Services in 2015. His previous roles also include Practice Area Leader and Business Manager at Integic Corp; and Finance Director and Investor Relations Director at Legent Software. With extensive experience working with government software & IT providers, Donohue specializes in enterprise value enhancement; P&L management; financial management, analysis, and forecasting. Donohue received his Bachelor’s Degree from Tufts University and earned a MBA in Finance from The George Washington University School of Business.